After investing two years of construction and 5 million euros in its research center in Solaize, Total inaugurated its all-new laboratory in April 2016. Located in Chemical Valley, a stronghold of renewable energy production in the Métropole de Lyon, this new 500-square-meter space brings together 12 researchers from different horizons. Their work focuses on creating new fuel biocomponents. The objective is to develop renewable products offering performance levels superior to today’s fossil fuels. The researchers will use a predictive approach, combining the advantages of biology with those of chemistry. “The expertise developed over the past few years in the biotechnologies will be very useful to us”, declared Bernard Clément, Business Operations – New Energies Director. The decision to locate its new laboratory alongside its current research center is tied to the ambitions of the Métropole de Lyon for clean technologies and for Chemical Valley. 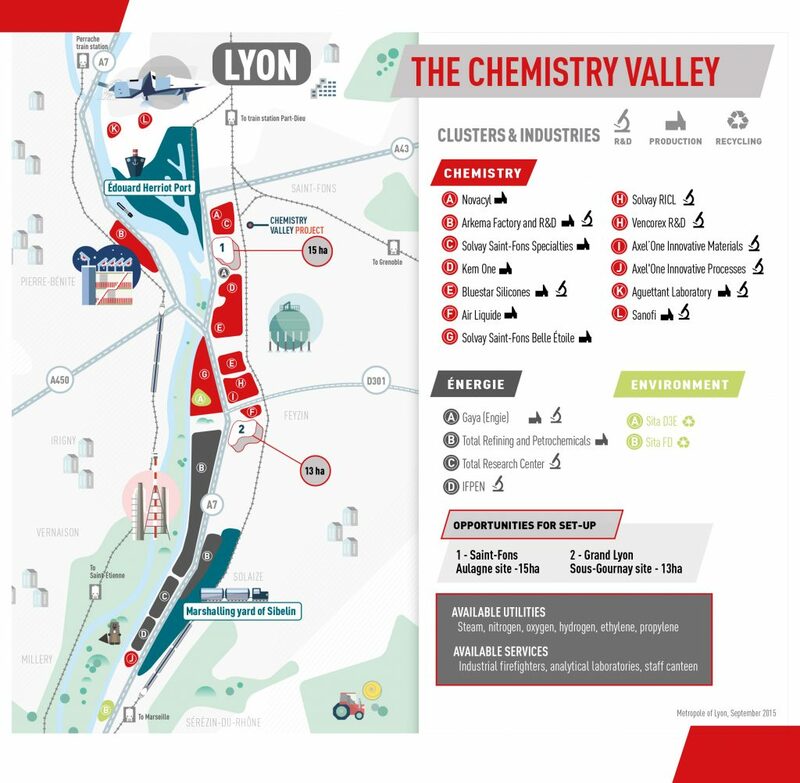 Supported by a major development and improvement project to be completed by 2030, and highlighted at the 12th Cleantech Forum Europe that took place in Lyon in early April, these ambitions aim to lift Chemical Valley beyond its current position, making it a European benchmark in clean technologies. Synergies in the ecosystem are important to achieving this goal. By further expanding its research activities in Lyon’s Chemical Valley, the Total Group is also contributing to the clean technologies of the future. “It is now crucial for us, as a community, to act in favor of the energy mix of our local area alongside industrial companies, research centers and competitive clusters”, said David Kimelfeld, vice-president of economic development at the Métropole de Lyon.